Also a lot of people don’t talk about this fantastic age, we had other beings come to life with us, as well as the starry brothers and sisters. These are the dolphins and whales. They came from Sirius.The whales were given the job to preserve our DNA codes. Our DNA now is actually programmed with information from the 12 Starry Tribes – and this is NOT the 12 tribes of Israel. The collective consciousness of the whales, my method of communicating with them, they tell me they have these codes well hidden in a very deep trench of the ocean. They say that in the coming years – and they don’t really understand time as we know it – as they are preparing to leave the planet and go home, since their job’s done, then they will make these codes known. I remember awhile ago, when I was in Australia, channeling a being who called himself a spokesperson for the whales and dolphins. He said you humans have no business and no authority to try to keep us on the planet. Our job is over and we’re departing. And you people are on a campaign to “save” us. How can you be so judgmental? Also he came up with one of my favorite jokes about dolphins and sea beings. He said, have you noticed recently on the cans of tuna is says “dolphin friendly tuna.” But who’s thinking about the tuna? This is the hypocrisy of humans – it’s all right to kill the tuna, but don’t kill the dolphins! When this channeling was circulating on the internet, around 16 years ago I think it was, I got mountains of emails about this. “How dare you?! How dare you say these things?! ?” It was interesting how people reacted to this. So, I have here Ha-Ha-Howard the dolphin. Take a few deep breaths. Give me a few moments for Howard to integrate his energy with me. Good morning I wish you, from my heart. I am the spokesperson of the sea creatures. The name I give is the name our channel shared with you. My name is Howard, or Ha-Ha-Howard. It is a great pleasure to be able to interact with you in this manner. I must admit that it is a long time since I have been able to address you human beings through this channel. So for me I am having a happy day to be able to interact with you. By now you know the method, or you might say the routine how these meditations are conducted. So relax, take some deep breaths. Many humans are not breathing in a very efficient manner. There is rather a shortage of oxygen in the atmosphere on your planet at this time, for the reasons many of you know; I will not go into it at this time. If you do not breathe properly, fill up your lungs.,you are not having enough oxygen in your system. A lack of oxygen in your bodies often triggers a relationship to this illusory energy commonly known as fear amongst you humans. It may also bring memories of a time when you were starved of oxygen during your birth process. So please remember to breathe. It makes it easier for you to keep your minds free from this illusory energy of fear. So we give you some few moments to adjust your breathing. If you take slow, rhythmic deep breaths, and clear your lungs on the out-breaths, you will very soon find that you are becoming more and more relaxed, and the tensions in your body start to dissipate. So, now I Howard will pull in the collective consciousness of my nation the dolphins. I call upon the collective consciousness of the whale nation also. I ask for their presence here to assist you in this remembrance. So now I am seeking permission of the vortex keeper, our channel, to increase the vibration. Of course, the permission is granted, but we never take anything for granted. We always ask, even if we know the answer. So the vortex increases in vibration and continues to increase in vibration. 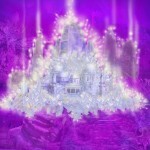 Of course we have the pillar of Light that the channel has created, and now we increase the vibration of this. So we increase, we increase, we increase, connecting up with the Central Sun, connecting up with the Heart of Source, connecting up with what we now refer to as the Cosmic aspect of Source, the Cosmic Heart of Source. I Howard now call for a further expanded radiation of this Cosmic Love, the divinity of the Cosmic Love. Now I invite you to ask yourselves, “Am I open to receive?” Like your channel says, the choice is yours. The illusion of free will operates. When I say “the illusion of free will”, the reality of the situation is you can do it now or later, in a few more lifetimes or in another time in this lifetime. It is all up to you. If you are open to receive, please affirm so that we can have a head count of the openness. For those of you that decide you are not open to receive, we have no problems with it. We do not attempt to push you. It’s just an open invitation. So, now we invite you to consciously allow the radiations of the Cosmic Divinity of Love to radiate through you, and connect with the unifying heart chakras around this group of adventurers. So it’s Love, Love, Love in true harmony and balance of Source. Remember, this true harmony and balance, you could also, if you like, call it the perfection of Source. Remember, this perfection is your inherent nature, in the essence of the divinity of Love. Hearts connect, connect, connect. Please continue breathing, and don’t forget: relax, relax, relax. Allow, allow, allow. Please don’t be asking yourself what you should or ought to be seeing or feeling, because there is no should or ought to. You are individual sparks of consciousness of the Source. Remember, the word “individual” is important here. For individual experience is your experience, not somebody else’s. So, for now, those that are open to further integrate this information and energy, I activate it, activate it, activate it. Activate it activate it activate it. Activate it, activate it, activate it. While you are relaxing and breathing, the collective consciousness of the whale nation will start preparing their activity with you. They will notify us when they are ready. Now I will still continue to be the spokesperson through which the whale nation will interact with you. Now they are ready to project an expansion of their collective consciousness and knowledge into the energy vortex, the spiral. Again, the pillar of this divine Light. So again we’re asking for a further expansion of the vibration lifting it closer and closer to pure Light. Pillar of Light also expanding closer and closer to the condition of absolutely pure Light, which is in general not able to be seen by physical eyes. Some are capable of course, but for many it is invisible. So the pillar of Light expands and expands and expands. We’re asking for a further expansion of the cosmic divinity of Love and the Cosmic Heart. We’re just waiting a few short moments for this to harmonize and balance in the space of activity. So now, the collective consciousness of the whale nation are ready to transmit to you the information they have been holding in relation to your DNA and the programming of your DNA from the 12 Stellar Tribes. Much of it has not been released to many individuals. Some of the Avatars and Maha Avatars have had access to it, so that they may perform their given tasks in their lifetimes upon the earth. Of course, at one period of time you had complete access, but through various events and actions your ability to access this information became limited, and the brief pieces of DNA you had active would not be capable of responding to these vibrations. So the whales transmit to us what they call a 528 vibration. … Now the crystal spirals of your DNA – the 12 strands, and those beyond the 12 strands that are capable of receiving – these transmissions begin to sing to the vibration. … The whale nation are also singing. You may have heard their songs as they sing in the great oceans, the waters of your world. Much of the vibrations of their songs is to transmit vibrations to assist you in holding the frequencies of Light that you are capable of holding. So now we release further vibrations, informations into as many of your DNA strands that are capable of responding to it. Clearing away any, shall we say, dark corners in the cupboards, or how you Americans would put it, dark corners in the closet of your mind. Please continue your gentle breathing and allow, allow, allow. We have many, many of the starry brothers and sisters assisting. There are untold numbers of them, gathering around you, above you, and even below you, all in joyousness in what you might call their minds and heart – joy that you may be willing to step forward out of all the things you thought were real, into a further understanding of you personally. Again, it’s again personal, remember. So now again, we ACTIVATE, ACTIVATE, ACTIVATE the information, ACTIVATE, ACTIVATE, ACTIVATE the information, ACTIVATE, ACTIVATE, ACTIVATE the information. The information flows from your DNA into each cell, molecule, atom, wave form, quark, particle – everything that composes your very being, throughout all dimensional realities, not only in the third. Remember, there could be imbalances in your energies up to at least the 8th level of vibration or dimension. So the information is released up to the 8th level, that of your I Am Presence. The flow continues to flow through your hearts. Both your heart chakras connect in a more profound or a stronger way. You are more able to radiate in a more open and precise manner an expanded divinity of the Cosmic Love. As you radiate, remember that we’re still, on a third dimensional level, connecting heart to heart to heart within the group. Now in a split second, or in a fragment of so called time, we’re going to move into this Golden Age in which we lived after the great wars, after the imbalance and the darkness. Let us move into this great city. …We arrive in what we could use in today’s modern language, the central temple of healing and enlightenment. This is built completely composed of sacred geometry, and also it is constructed of blocks of crystalline substance: quartz, a mixture of quartz and a mineral that you now call danburite. This mixture of the danburite and quartz is extremely potent in its ability to vibrate to very high frequencies. 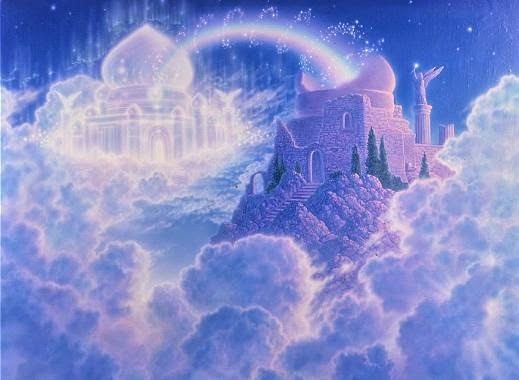 The whole temple complex is vibrating on these very expanded frequencies of Divine Light, Divine Love. For those of our ancestors that are open, we will also extend ACTIVATION, ACTIVATION, ACTIVATION. With the information that the whales continue to pass to us, while we allow this to pass through our lineage, let us again for our physicalIties up to our I Am Presences, take the next level of ACTIVATION, ACTIVATION, ACTIVATION. ACTIVATE, ACTIVATE, ACTIVATE. So now I have it the collective consciousness of my nation, the collective consciousness of the whale nation. We will begin to withdraw our consciousness. When I say withdraw our consciousness, I don’t mean to withdraw it from humanity, but from the space of activity. On behalf of both nations, we extend, what you would term in human language, a heartfelt congratulation to each and every being present here. We would also thank the starry brothers and sisters; again, each and every individual incarnate in third dimensional bodies. Remember, our love is always with you. We are constantly open to you. We are not allowed to interfere in your path, both as an individual and as the human race, and also the other nations of beings upon the planet, like the stone beings, the trees, the flowers and so on. But we are always here, with an openness to you. You only have to affirm that you are open to link with us, and you will immediately be linked to our highest level of consciousness available. I Howard will be leaving the channel. We have a desire to utilize the channel some more during the coming times, so we need not to overdrive and to preserve the mechanisms that are available. I pass on my Love to you, and the channel will again take over the proceedings. So again thank you. We’re still in the marvelous temple in Atlantis, so we need to come back from there and integrate these portions of ourselves with our body physical. It’ time to say goodbye. But really it isn’t goodbye. Remember, what you’re seeing here are aspects of yourself. So have a willingness and openness to integrate these aspects of yourself into your present self. So we’ll turn to our physical bodies and bringing back to us all that is constructive for each individual, if this is what you may wish to do. We’ll just gently bring ourselves out to the awareness of 3D. Take it easy, be gentle, we’re in no rush.